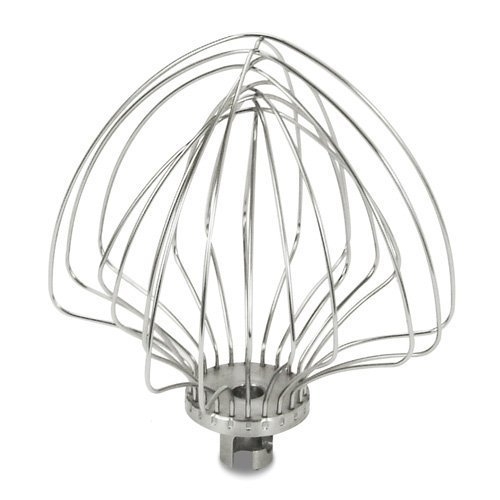 KitchenAid is ready to maximize your mixing results with their stainless steel whip's 11-wire design which ensures that you'll get maximum volume more quickly, for lighter, fluffier whipped creams, cake batters and egg whites. 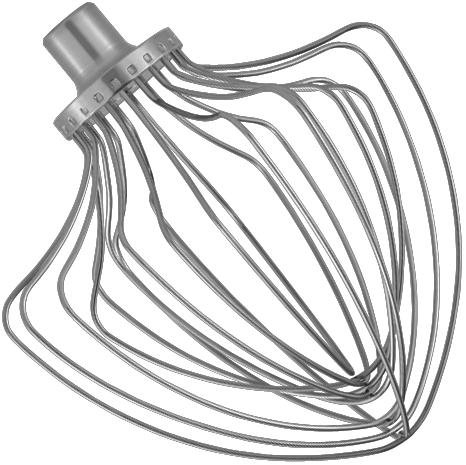 The KN211WW mixer Whisk fits Kitchen Aid Professional 5 Plus Series models (starting with KV) and all Pro 600 6-quart and Epicurean mixer models. 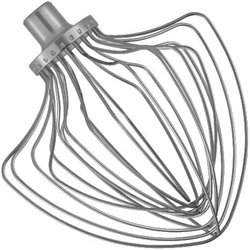 The 11-Spoke wire whip is genuine KitchenAid, and will out-perform the standard whisk offered for the models listed below. Always best to hand wash - dishwasher can be hard on mixer attachments.